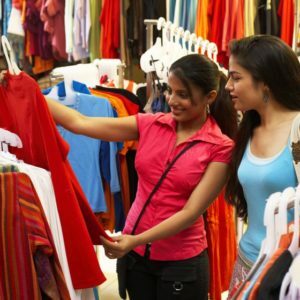 BENGALURU: A data aggregation startup in America is aiming to be a specialist provider of demographic data on Indians, a market that is gaining currency as the country digitises rapidly and accurate information on a growing population of middle class consumers becomes valuable. ￼Apriori, based in a Washington DC suburb, relies on information from voter registration data and the India Post among others, to analyse and draw inferences on consumer behaviour that is used primarily by financial services companies including credit bureaus and insurance providers. “We are proud to host over 850 million unique records for adult citizens in India in 14 languages from every state and union territory,” said Igor Kyrylenko, founder of Apriori who speaks Russian and Ukrainian and holds a patent in identification verification systems. “We refresh data on a regular basis and operate with over 60 data attributes for each record which we have acquired through information publicly available on internet. The data is used for legal and permissible purposes by financial organisations, credit bureaus and insurance companies,” he said. The Election Commission of India and India Post did not reply to email queries from ET for this story. 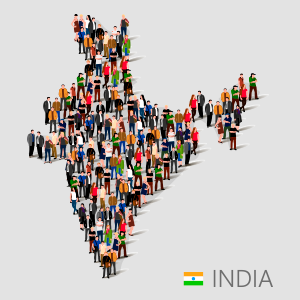 India’s over 1.3 billion people, speak some 22 major languages with over 700 dialects. Government identification platforms including the permanent account number, passport and voter ID cards among others, over the years, have attempted to capture demographic details accurately. It is this store of publicly available information that startups like Apriori are using to estimate, for instance, how many people have left smaller towns and settled in cities, and whether their address is a current one. Kyrylenko said the idea for his startup came from an enquiry by a client seeking India­ specific data while he was working in another IT firm. The 43­year­old entrepreneur is now looking for larger customers beyond the credit bureaus and insurance companies he is already working with. Kyrylenko declined to name any of his current customers. Cyber law expert Pavan Duggal is of the view that there is nothing specific in the IT Act which can stop companies from working with citizen or government data for commercial purposes. “As we get more digital as a country, amount of data per citizen is generated, we need to have laws which protect the sovereignty of such data and check what can be used for monetisation by private companies,” he said.